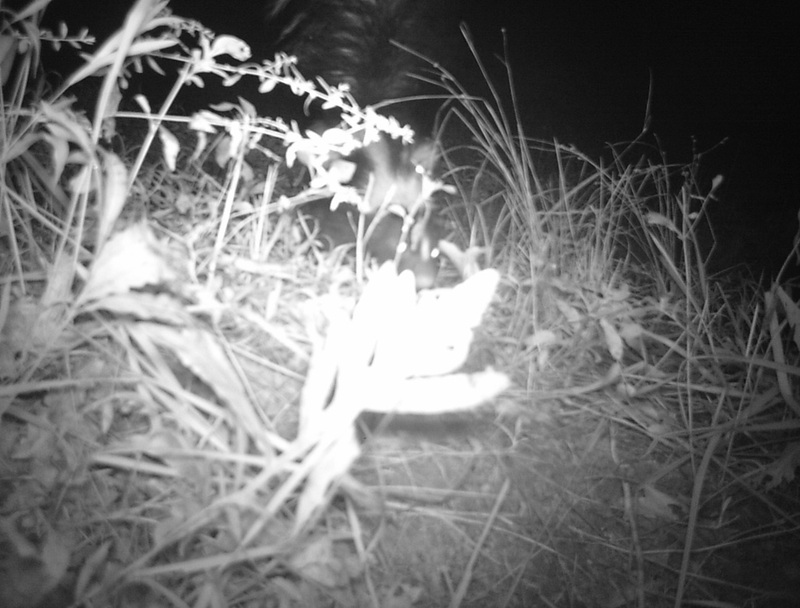 This is the first skunk I’ve been able to get on the trail camera, which adds one more carnivoran family to the list. No. Skunks aren’t Mustelids anymore. Their family is Mephitidae, This family includes two Southeast Asian “stink badgers” and all the skunks of North and South America. The most common species of skunk in West Virginia is the striped skunk, but in the very high Alleghenies there is a relict population of Eastern spotted skunks. Eastern spotted skunks are thought of as a “Southern” species, but in West Virginia, they are found only in the colder High Alleghenies. I just hope that black cat stays away from white paint. There are plenty of Pepe Le Pew cartoons that tell you what happens when a black cat gets a white stripe painted on it! 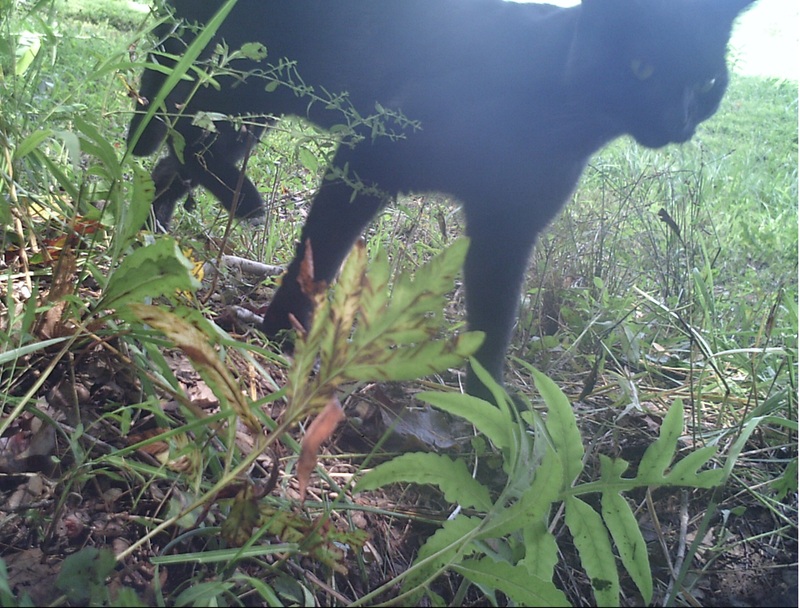 Speaking of cats and wildcats, most websites mention domestic and feral cats as though they are a different subspecies from Near Eastern Wildcats. Like they talk about the domestic cat hybridizing with the African wildcat. Do they mean the Southern African wildcat (cafra) or the Near Easter Wildcat (lybica)? If it is Felis silvestris cafra they are talking about, then the domestic cat is hybridizing with another subspecies, just like it would be if we were talking about silvestris (European), ornata (Central Asian), or bieti (Chinese Mountain) subspecies. But if it is Felis silvestris lybica they are talking about, then the domestic cat is just breeding within its own subspecies, seeing as the domestic cat is really a Felis silvestris lybica that is just called a Felis silvestris catus. I could understand the lybica and cafra subspecies being mistaken for each other because the two were once considered one subspecies. Speaking of skunk stripes on cats, I heard on the Messybeast website that cats can in fact inherit a white dorsal stripe. The back of a cat is usually untouched by the white spotting pattern in the low to medium grade, so a white stripe on the back reminiscent of a striped skunk is unusual. So a otherwise all-black cat with a white-stripe down the back could be possible, albeit very uncommon or rare.